Nothing about media’s polyphony could be an adequate predictor for the popularity of the unboxing video. In our endless mediaverse, history is jettisoned – supplanted by the breadth of an infinitely replicable series of gestures of the moment. 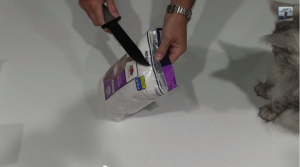 Unboxing videos inhabit a strange space. In 2006 – the original iterations featured loving revelations of commodity fetishized electronics. While electronics – cellphones – videogames – are still a mainstay of the genre, in today’s programs, there is a more complete surveillence of the retail landscape, with a dizzying array of contemporary objects making the transition from their pristine state – always through the ministration of the narrator’s disembodied hands. Without appeal to greater complexity of interpretation, they posit a simple transformative [raw/cooked] change from wrapped to unwrapped, and from this polymorphous eucharist – all else follows. The liminal act of unboxing is ostensibly a review – provided for the edification of its audience. In this capacity, the limited scope of the enterprise – an account of the packaging and its contents – is less functional consumption than its virtual possibility. We are invited to experience, televisually, the moment of transition in which the consumed object segues from enclosure to release – implying for the audience the possibility of consumption without purchase. “This is what it looks like” – without the unnecessary anchoring of the object in a specific use – it remains a cypher into which the audience can imagine – forever – the possibility of the[ir] moment. Patricia S.L.R. will invite you to examine the boxtop, tissue paper, protective cover and finally the gaudy object of her toil – an Orange Hermés Birkin Handbag, which retails for over $12,000. Patricia is a serial unboxer of these shockingly expensive items. While for some, the thrill of watching the act of unboxing is simply the thrill of vicarious [and possibly perpetually remote] consumption, the need to film and present these events to a credulous public seems strangely complicit in their envy. As if to reassure herself of ownership. Patricia virtualizes the process to effect its verification. The question is – are these purchased and documented, or purchased to document? Is the point of petit-bourgeois luxury objects simply to have an[y] audience? if you want high quality pair of underwear and you don’t want to spend a lot of money this is the way to do it. yet in considering its value as a product review, those facts were possibly apparent from the outset. If it is purely the ecstasy of communication, this is surely pleasure of a very small order. By offering so little interpretive commentary, the unboxing genre as a rule evokes little more than the unadorned thusness of the object. As a sign, its presence in the ritual act of transformation is sufficient. An excellent article by Mirelle Silcoff in the New York Times recently probed the word of unboxing through the lens of one of its most surprisingly successful exponents. 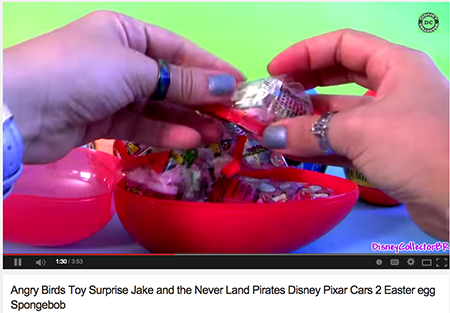 I was looking for the person known to millions of toddlers and their parents as DisneyCollector, a YouTube user famous for taking Play-Doh sets, Disney toys (of course) and other simple, often chintzy playthings out of their packaging in short self-produced videos in which we see only her hands. She wrote that before her days as an online sensation, she worked as a waitress and a babysitter. Today she exclusively produces online video content. Disney Collector’s 95million hits for the unboxing of 6 Egg Surprises from Target is almost unfathomable in terms of its sheer banality – but perhaps that’s the point. Every commodity is an idea. To record the disembodied liminal moment of transformation by unwrapping is to offer the idea of the object to a faceless [and absent] audience for their statistical validation. And for DisneyCollector, this abstracted semiotic gesture becomes work.